MTR Badam Drink is the perfect combination of Elaichi, Badam and Kesar. And it is so delicious that your child will now look forward to drinking milk. Vitamin D and Calcium, Non stop Energy. 99.4% Pure Glucose. Gatorade Sports Drink Orange Flavour is used with athletics. It uses a mix of sugar and salt. It helps in pleasing your thirst and restores your body energy. A rich concoction of almonds (badam), milk and sugar with Cardamom Flavouring. MTR Foods' Badam Cardamom Drink is a twist on the age-old classic Indian beverage. With all the goodness of almonds, it's rejuvenation in a can! A rich concoction of almonds (badam), milk and sugar with Rose Flavouring. MTR Foods' Badam Rose Drink is a twist on the age-old classic Indian beverage. With all the goodness of almonds, it's rejuvenation in a can! Quiky is an easy chocolaty mix with the goodness of oats, whey protein, skimmed milk powder, amla and contains 19 essential vitamins and minerals. Snack healthy with Quiky! Glucon-D drinks are ‘instant energy’ glucose drinks. Its main ingredient is glucose (40% ). Glucon-D Aam Panna is flavored with raw mango, khus and pudina. It also contains vitamin D and phosphorus. The compound will provide you, instant freshness and energy. Glucon-D drinks are ‘instant energy’ glucose drinks. Its main ingredient is glucose (40% ). Glucon-D Rose Splash is flavored with rosa damasane extract and it contains good amount of vitamin C. It also contains vitamin D and phosphorus. The compound will provide you, instant freshness and energy. Buy Sports Drinks Online at Foodzu and get attractive discount on every purchase. Energy and sports drinks are designed in such a way that it provides an energy boost to the drinker. Energy drinks often contain energy ingredients like caffeine, glucuronolactone, vitamin B, taurine, and ginseng. Adding energy drinks to the diet boosts wakefulness, alertness, and productivity. The flavor of tea and coffee will not appeal every individual. So switching to energy drinks provides the multitude of flavors and options. Shop high quality of Sports and Energy Drinks at Foodzu and get it delivered right at your doorstep. Are you planning to Buy Energy Drinks Online? 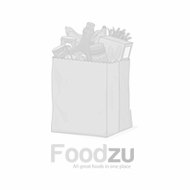 If yes, The Foodzu is the best online grocery store in Bangalore who offer Sports and Energy Drinks at a cost effective price. In your busy life, we provide you an online facility to Buy Sports and Energy Drinks from the comfort of your home. Shop high premium quality of Sports and Energy Drinks from top brand and get it delivered right at your doorstep. Enjoy the easy and relaxed way of shopping Sports and Energy Drinks from top brands at less than MRP from Foodzu.